Should I Offer Pet-Friendly Rental Accommodation? According to a 2016 New Zealand Companion Animal Council Inc report, there are over 4.6m companion animals in New Zealand with 64% of New Zealand households home to at least one companion animal — 44% share their homes with cats and 28% with dogs. Considering this and accounting for the fact that home ownership is down and long-term renter numbers are on an upward trend, this equates to a high demand for pet-friendly accommodation throughout New Zealand. To gain a competitive advantage it makes sense that, where applicable, landlords consider a pet-friendly policy in their tenancy agreements. This immediately increases the pool of potential tenants and quite often encourages longer term tenancies — many pet owners are faced with difficulties finding pet-friendly rentals so once they do find a place, they tend to stay longer — plus, responsible pet owners prefer to minimise disruption to their animals with repeated moves. So, what key things should you be thinking about if you’re considering offering pet-friendly accommodation? To start with, work out how you’re going to market your property as ‘pet-friendly’ so that you can gain an advantageous point-of-difference. Some landlords choose to set a higher rental price to allow for additional features such as dog/cat doors and secure fencing, however this should be weighed against the value of retaining, what could quite likely be, long term tenants while remaining competitive in the rental market. 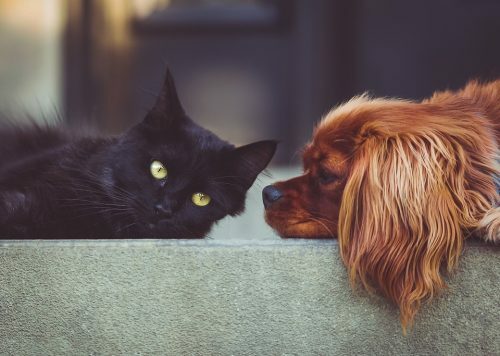 You may be tempted to charge a bond to insure against any damage caused by pets, however there is no provision for a specific ‘pet bond’ in the Residential Tenancies Act 1986. To reduce your risk, you can however charge the maximum bond allowable as any intentional or careless damage caused by pets is the responsibility of the tenant. With this in mind it is worth encouraging tenants to take out insurance that includes tenant liability to cover their risk. When vetting prospective tenants, ask for references from previous landlords that specifically state the behaviour of their pets during the tenancy. Include ‘pet keeping conditions’ that both parties agree on, within the tenancy agreement. This can include allowable items such as: the type/breed of pet, the number of pets and if the pet will be inside or outside. A major consideration is the location of your property and the type of pet that you will allow to live there. A property must be fit-for-purpose and it pays to be mindful of neighbours and any applicable body corporate or council restrictions. Finally, regular property inspections should be carried out so that any damage can be rectified early, and further expectations can be set with your tenant(s) if required. As your property management specialists, McPherson Property Management are more than happy to answer any questions you have about making your rental property pet-friendly — just give us call on 0800 FOR RENT or drop us a line. The Christchurch Community is such an important part of our business and we love supporting you, especially at Christmas time! Is it Time to Regulate the Property Management Industry?